Lasers, Wi-Fi and Bribes, Oh my! Cars were stopped on the road ahead of her. Ana didn’t care. She drove up onto the sidewalk to get around them. She kept going, one eye on the bleeping signal still emitting on her laptop as she approached the location. 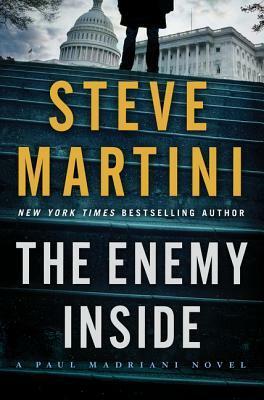 Steve Martini outdoes himself in this, the 16th Paul Madriani novel. Paul and his law partner, Harry Hinds, have been keeping a low profile in recent years. Running from a drug lord who they brought to justice was only half of the problem. Their client base of criminal defendants thinned out when the cops called Madriani and Hines crime fighting heroes. Paul’s daughter, Sarah, asks her dad to represent her friend, Alex Ives, is a seemingly odd DUI vehicular manslaughter case. Paul eagerly gets right to work. Each time Alex tries to remember just what happened prior to waking up in the desert next to his parent’s burned out car and the wrecked car containing a dead mystery woman, another piece of the puzzle is revealed. Readers who enjoy high tech trickery mixed with politics and murder for hire will thoroughly enjoy this book. Author Martini includes ample background on how national political deals are made inside the Washington, D.C. beltway. When he adds the latest advances in weaponry and electronics, the mix is compelling. Even long-time Madriani fans will not be able to figure out the twists and turns that lead to the very satisfying conclusion. 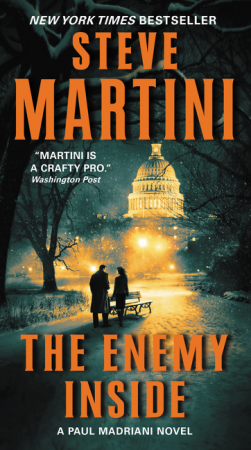 The Enemy Inside will be released as a mass market paperback (William Morrow, $9.99, 515 pages) on December 29, 2015.